For HR and Sales leaders, planning and executing a total rewards process at a financial institution is harder than ever. With an expanding range of compensation elements available and increasing demands from employees, compensation-related costs are gobbling up a staggering 70 to 90% of a firm’s operating expenses. HR and sales leaders are challenged to streamline the compensation process while attracting and retaining top talent, supporting business strategy, and maintaining regulatory compliance. But financial services firms ready to move on may be overwhelmed with the prospect of replacing an entrenched system while not missing a beat in their compensation cycle in the interim. While many of the core HR talent suites don’t support total rewards management at the level of sophistication financial services teams require, technology does exist to fully automate these processes. Unfortunately, several overlooked considerations can derail firms as they move off an entrenched legacy system. 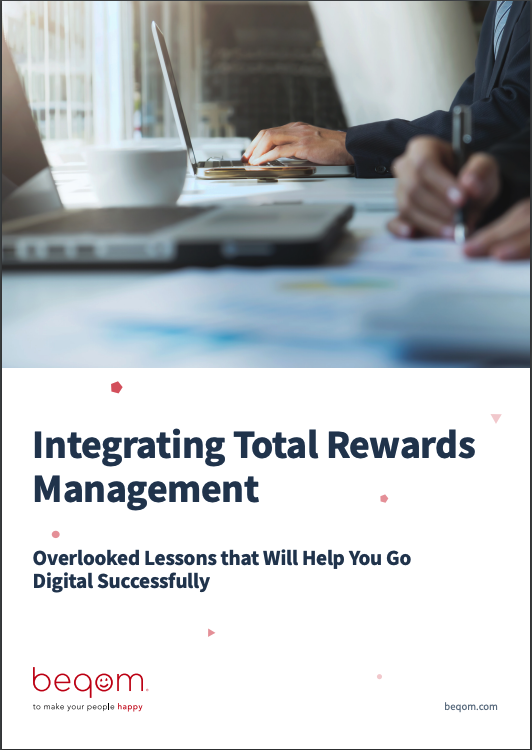 Fill out the form to instantly download our free eGuide and learn where the most successful digital compensation transformations get it right. We detail what missed step can set your project launch back and over budget. Find out which data hideouts are most commonly missed in digital integrations. Learn what you need to meet compliance guidelines now and how to future-proof for new regulations. Understand how to untangle the matrix of compensation hierarchy to give the right people the right access in the total rewards process.